In these days of tight budgets and arctic blasts, staying warm without spending several hundred dollars a month on utilities is a major point of concern. 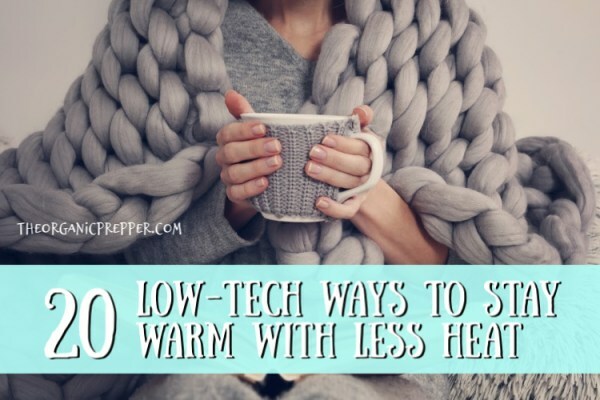 Luckily, there are all sorts of low-tech ways to stay warm using less heat. Not many people can afford an astronomical heat bill and the prices of utilities are only going up from here. We’ll need to use other methods for staying warm aside from cranking up the thermostat if we want to stay cozy without going broke. I’ve lived in all sorts of houses and worked with different types of heat. Back when I lived in an inexpensive cabin with wood heat and a million dollar view I learned exactly how drafty and chilly our little house was! The breeze off the lake also increased the nip in the air. With an older wood stove as our only source of heat, the rooms more distant from the stove moved from chilly to downright COLD. Currently, I live in an old house with radiators. It’s usually cozy in our moderate climate, but on days when the mercury doesn’t rise to double digits, it’s pretty darned nippy in here. I’ve gotten up on mornings when the heat is set at 64 to find the main floor stubbornly resisting warmth and staying at a brisk 57 degrees. There are different heating solutions for more extreme situations. When you rent, it isn’t feasible to insulate or replace the windows and wood stove with more efficient models. In that situation, you have to work with what you’ve got. So low-tech methods that don’t change the house are ideal. From a prepping point of view, using less heat allows you to extend your fuel supply. You don’t want to use up all your propane or wood during the early stages of a power outage. Low-tech methods will let you ration your fuel while still remaining comfortable. More extreme situations will call for more extreme measures. Here’s an article that talks about how to stay warm during a winter power outage and here is an article by Selco that explains how people stayed warm during a long-term SHTF event. So, in the interest of low-tech solutions, here are a few ways that we keep warmer without plugging in the electric space heaters. These ideas can be used when the grid is working and most can be used to supplement your winter power outage plan so that you use up fewer resources. Wear fingerless gloves. You’ll look very 80s, but if you wear cozy knit fingerless gloves, you’ll be able to still use your hands for the computer or for needlework while staying much warmer. You can splurge on nice ones like these or you can grab those inexpensive $1 stretchy ones and cut off the fingertips. Get some long-johns. Wearing long underwear beneath your jeans or PJs will work like insulation to keep your body heat in. I like the silky kind sold by discount stores like Wal-mart for indoor use, rather than the sturdier outdoor type sold by ski shops. The more you layer, the warmer you’ll be. Use rice bags. If you don’t have the ready-made ones, you can simply place dry rice in a clean sock. Heat this in the microwave, if you use one, for about a minute, or place in a 100-degree oven, watching carefully, for about 10 minutes. If you have a woodstove or fireplace, keep some rice bags in a large ceramic crock beside the unit so they are constantly warm. You can put your feet on them or tuck them under the blankets on your lap. Insulate using items you have. Line the interior walls with bookcases or hanging decorative quilts and blankets on the walls to add an extra layer of insulation. It definitely makes a difference because it keeps heat in and cold air out. If you look at pictures of old castles you will see lovely tapestry wall-hangings – this was to help insulate the stone walls, which absorbed the cold and released it into the space. Layer your windows. Our cabin had large lovely picture windows for enjoying the view. However, they’re single pane and it’s hard to enjoy the view if your teeth are chattering. We took the rather drastic step of basically closing off all the windows but one in each room for the winter. We insulated by placing draft blockers at the bottom in the window sill (I just used rolled up polar fleece – I’m not much of a sewer.) This was topped by a heavy blanket, taking care to overlap the wall and window edges with it. Over that, we hung thermal curtains that remain closed. Another option is to pick up that plastic that you apply to your windows using a hairdryer. (In a pinch, you can spray the window with water and apply bubble wrap if you don’t have another way to layer it. Get a rug. If you have hardwood, tile, or laminate flooring, an area rug is a must. Like the blankets on the walls, this is another layer of insulation between you and the great outdoors. If you have no basement, your floor will be particularly chilly. A rug in the living room protects your feet from the chill. Drink hot beverages. 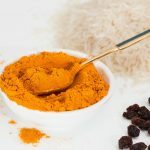 A warm beverage like coffee, tea, or cocoa will help warm you up from the inside out. Be sure to invest in some travel mugs with lids to keep your drink warm for longer. Close off one room. What is the warmest room in your house? Maybe it’s the one with the heat source or maybe it’s tucked into a more protected area of the home. Close it off using curtains and tension rods in the doorways for a toasty-warm retreat. Hang out together. Even if you aren’t cuddling under blankets, if everyone is in the same (closed off) room, your combined body heat will raise the temperature a few degrees. Get everyone an electric blanket. This is less low-tech and will only work if the power is on, but an electric blanket uses far less power than turning up the heat for your entire house. We keep our thermostat set quite low and use electric blankets instead. Newer ones have an automatic shut-off for less risk of fire or burns and they’re very energy efficient. How do you keep your house warm without turning up the heat? What do you do to stay warmer at your house during the winter? Share your cozy ideas in the comments section!